I could wax poetic about Vancouver, B.C. 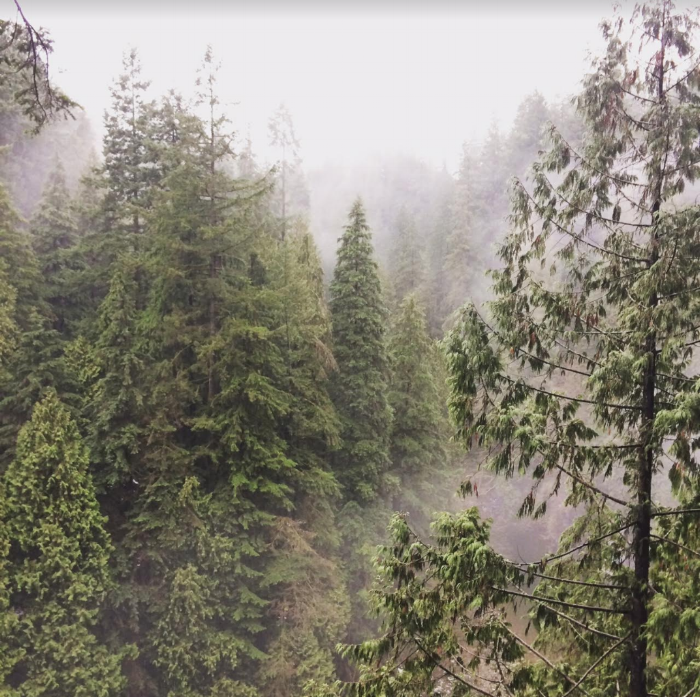 ...the art, the food, architecture, the people, the quality of life... all world class and all noteworthy, but Capilano Suspension Bridge Park took my breath away. High pedestrian suspension bridges and boardwalks weave you through the boughs of 400-800 year old pine forests, lichen gleaming and mist on the rise, it is a sensational experience any day of the year. I trekked the treetops in teaming rain on an unusually cold day, and still the beauty eclipsed the weather.